Managed by Leo Belmonte, CFP, FMA, FCSI, AMP, Director and Chief Executive Officer. 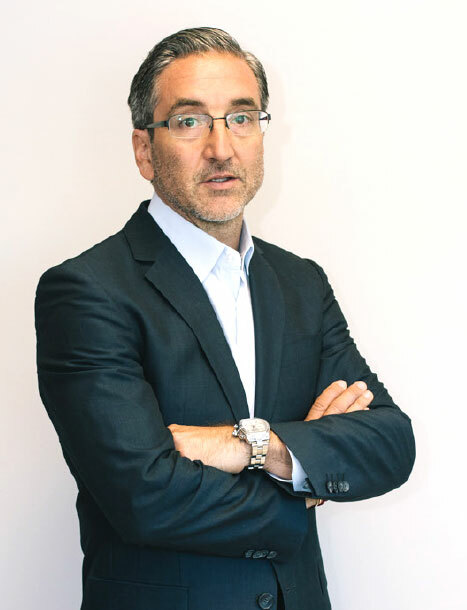 Leo Belmonte is Director and Senior Trading Officer of Security Financial Services & Investment Corp. Leo is a Certified Financial Planner (CFP), Financial Management Advisor (FMA), and Fellow of the Canadian Securities Institute (FCSI). After graduating with a Bachelor of Arts and a Post-Diploma in Mortgage Brokering, he entered the financial services industry with Investors Group in 1996. During his six-year tenure, Leo held title as consultant, field trainer, new consultant training instructor, and Associate Regional Director. He was instrumental in building a satellite office into a multi consultant, stand-alone branch, with a strong presence in Southern Ontario. Leo has been at the helm of Security Financial Services & Investment Corp. since 2004 and has increased the firm’s advisor base and assets under administration consistently over the years. He has been featured in numerous industry publications, selected as Wealth Professional’s Top 50 Advisors in Canada, and been a guest participant at The Private Wealth Forum in Toronto. Leo enjoys time with his family, traveling, collecting wine, and golfing with his children. We have known Leo for a long time, even before he started Security Financial. Leo has always been a knowledgeable advisor. However what sets him apart is his true caring for his clients. He is always there to give advice and teach you about you the best way to invest and takes the time to explain the options and his reasoning. There are a lot of financial companies and advisors but few with the concern and integrity of Leo. I have taken valuable financial advice from Leo Belmonte, of Security Financial Services, for a number of years and have been very impressed with the service provided and the recommendations he has made. He is able to apply his extensive financial knowledge in a way that I can clearly understand. Leo is a very personable man who takes the time to get to know his clients and keeps in touch on a regular basis. He is always available either by phone or for a meeting. I am extremely pleased with the way he has handled my financial portfolio even in difficult financial times. I would highly recommend Leo as a financial advisor. I have been a client of Security Financial for over twenty years and have always found their services to be exceptional. Leo and his support staff have always surpassed my expectations in all aspects of my portfolio maintenance. Moreover, Leo is very knowledgeable and approachable and has made me comfortable with understanding my portfolio. He has been able to develop a portfolio that more than suits my specific expectations. I would recommend Leo and Security Financial to anyone who is interested in creating a portfolio which will grow with his/her needs and expectations.